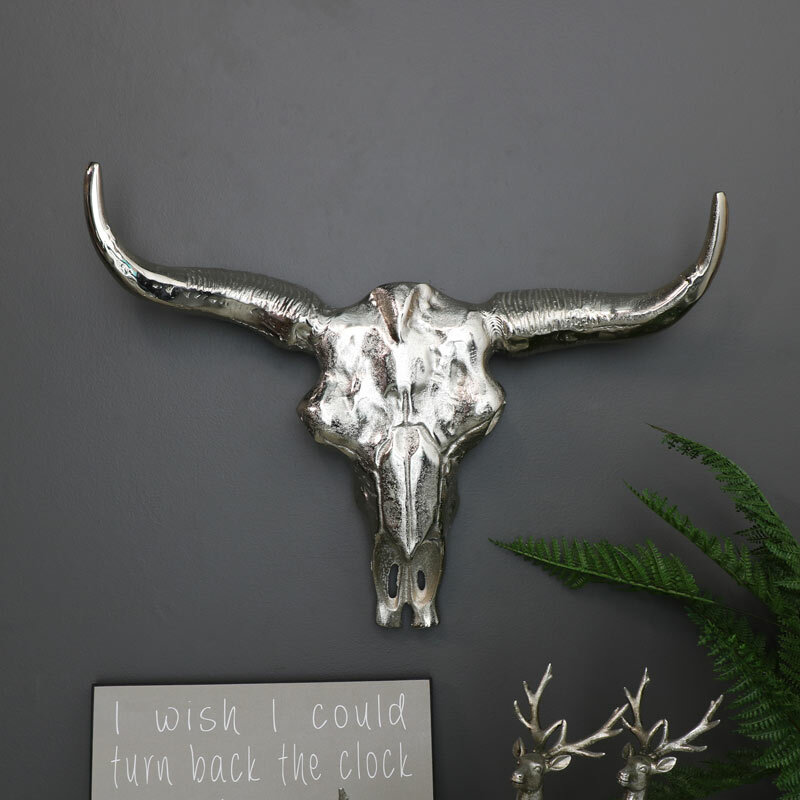 Make a bold statement with your home accessories and display this fantastic looking wall mounted Buffalo Skull in your living room or hallway. 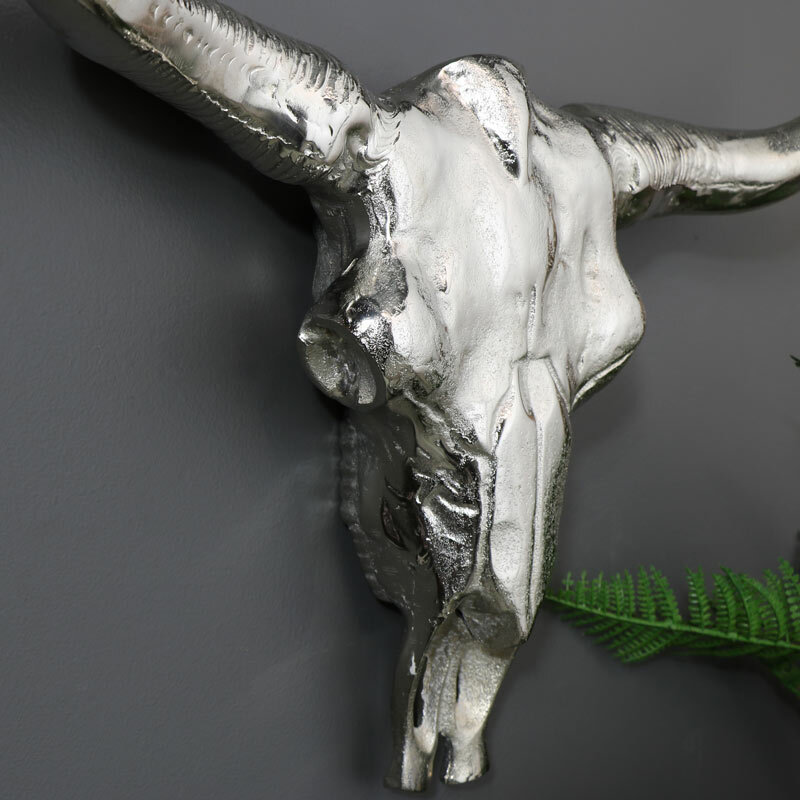 Sculpted in silver metal, this will suit contemporary, modern and traditional interiors. This is a striking trophy head that will make a funky and quirky alternative to the usual. With carved features on the face and horns that make this animal head stand out. We have many more animal heads available to choose from, all of which are animal friendly and taxidermy free. The head is made from aluminium metal in a silver finish. Easily wall mounted with a hole on the back for attaching to wall hooks or fixings (not included). A great addition to our growing range of accessories and gifts. Never be stuck for gift ideas again with so much to choose from.